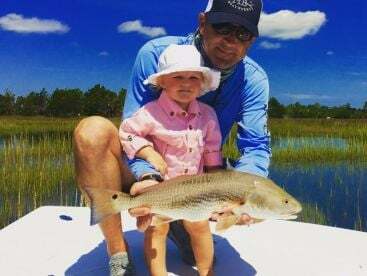 Battling Bull Redfish in the backwaters of the Intracoastal Waterway, trolling for Billfish off the coast of Charleston or fly fishing gorgeous freshwater lakes for Bass – South Carolina fishing is varied and exciting for anglers of all tastes and skill levels! South Carolina is known for its amazing beaches, some of the most popular tourist destinations in the entire United States. 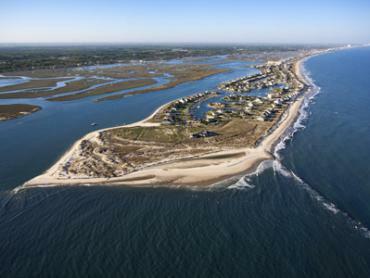 With over 180 miles of subtropical coastline spread out beneath palmetto trees and salt marshes, it’s no wonder that the tourist industry has been on a steady rise in the last couple of years. If you’re looking for the perfect destination to do some angling and let all the stress melt away on a sandy beach, South Carolina has your number. In the south of South Carolina lies a vast area criss-crossed by many estuaries, inlets, bays, and marshes. Naturally, this makes for some mind-blowing inshore and backwater fishing. This wonderful area is called the Lowcountry. The Lowcountry is home to some of the best Redfishing across the Eastern coast. The fish can be targeted year-round, though some months are easier than others. Around May they start getting more active as the waters warm up sufficiently and they’ll voraciously attack baitfish. 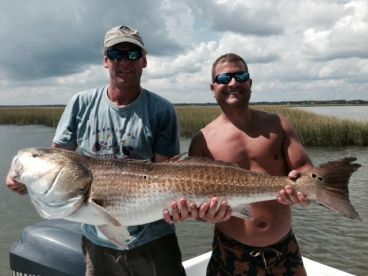 Hilton Head Island, Bluffton, and Beaufort have very good Redfish action in waters nearby. 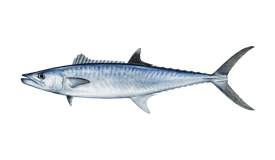 Spanish and King Mackerel are some of the most popular offshore catches in salty South Carolina waters. Spanish Mackerel can be caught between April and November. They usually form large and fast schools – they’re tough to find, but once you’re on top of a school the bite gets red-hot really quickly. Kingfish migrate north from Florida during spring and early summer. Schools of Kingfish are mostly younger specimens, anglers who are looking for big trophy boys will have to search harder – they hunt solo or in small groups. Cobia is another popular fish to go after in the waters off of South Carolina. They can be found in nearshore waters between April and October. They reach their peak abundance in the late spring. Good spots to target them are buoys and reefs that are fairly close to the shore. In the fall they’ll start to migrate down south. You can still find some Cobia inshore even outside of their spawning season, but they’re not reliable targets. 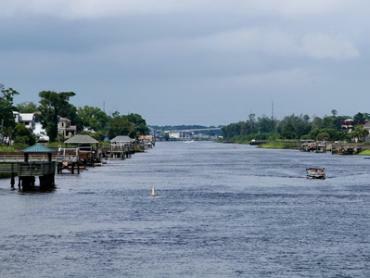 The Intracoastal Waterway was completed in 1936 by the US Army Corps of Engineers. They connected many existing estuaries, bays, and rivers, cutting through banks where needed. Naturally, this has resulted in absolutely fantastic backwater fishing on the Waterway. 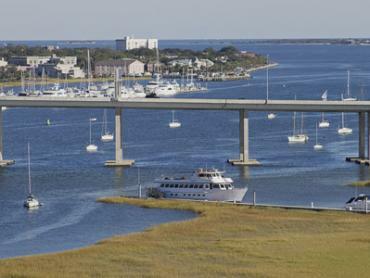 It goes through Charleston, Hilton Head, and Myrtle beach, connecting these premier fishing spots. 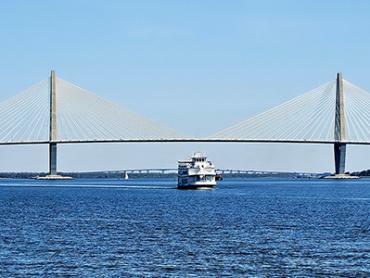 Some of the best fishing in South Carolina can be found on the Waterway – northeast of Charleston harbor and southwest of Bull’s Bay are just some of the famous fishing areas. Hilton Head Island can offer a tremendous diversity of waters for anglers to explore. You can find pretty much everything here, tidal lagoons, fresh and brackish waters, estuaries, and of course, the great blue sea for offshore fishing. There are numerous artificial reefs and natural banks dotting the nearshore waters around the island, providing an ideal home for a variety of saltwater species. You can expect to go after Black Seabass, Kingfish, Spanish Mackerel, Mahi Mahi, Cobias, and other exciting open-water species. All sharks must be released (despite them being intent on eating your bait!). The Gulf Stream is about 70 miles offshore, so if you’re game for a serious sportfishing adventure get ready for a longer trip. State fishing regulations apply up to 3 miles offshore; further than that, federal regulations apply. Murrells Inlet is a small fishing village, without all the hustle and bustle of the nearby Myrtle Beach, but with amazing fishing. You can go to the nearby backwaters, premier fishing grounds for Bull Redfish, Spotted Seatrout, and Flounder. 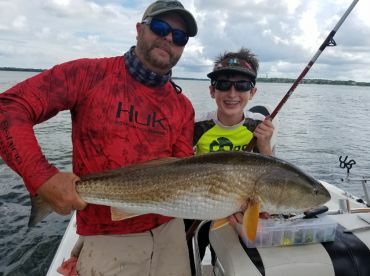 If you’re looking for longer inshore trips you may go to Winyah Bay or Cape Romain, popular fishing spots for good reason: the bite is phenomenal. 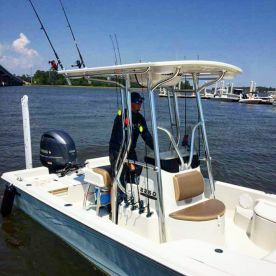 The fishing doesn’t stop there, with numerous nearshore wrecks spread out off the coast – perfect for going after Kingfish, Spanish Mackerel, Sheepshead, and Spadefish. Charleston is home to many fishing charters that are more than happy to take you fishing offshore or inshore. Fans of offshore fishing have something to look forward to – you’ll head out between 20 and 50 miles offshore. You can expect to target a variety of gorgeous fish, bottom fishing for Red and Vermillion Snappers, large Triggerfish, trolling for Kingfish, Wahoo, Billfish, and Mahi Mahi. Though if you’re looking for a deep-sea battle, you can expect a 10+ hour trip. Inshore fishing isn’t neglected in this area either. There’s excellent Redfish and Sheepshead fishing when the tides are low. When they rise you can go after Flounder and Spotted Seatrout. Myrtle Beach charters can cater to all tastes. You can find anything from pier fishing to deep sea fishing, with inshore and offshore trips galore! One of the notable events that take place in Myrtle Beach is the Grand Strand Fishing Rodeo. It’s organized by a group of local fishing piers that hold exciting events, among which two Kingfish tournaments a year; they’re usually held in the summer and fall (though the summer one is called “spring”). Fishing these waters can net you Black Seabass, Snappers, Groupers, Triggerfish, Mahi Mahi, and of course, the King Mackerel. South Carolina doesn’t fall behind on the quality of the freshwater fishing either. There are 14 reservoirs totaling approximately 370,000 acres of fresh waters. These waters are teeming with Crappie, Bream, Catfish, and several species of Trout. The main targets in fresh waters are, of course, Striped, Largemouth, and Smallmouth Bass. Lake Murray is one of the best spots for Largemouth and Striped Bass, recognized as one of the most productive lakes in the Southeast. For Catfish fanatics the Pee Dee River is a spot of heaven – fishing behind underwater structures can produce monster Catfish. If you’re fishing on board a charter you don’t need a South Carolina fishing license — the captain’s license has you covered. You should acquire a SCDNR fishing license for yourself if you’re looking into some solo action. Fishing from public fishing piers doesn’t require any licenses, while fishing South Carolina beaches requires having one. Inshore fishing is best during the summer, the morning being the prime time for angling. It’s cooler and there are less chances of sudden thunderstorms in the morning. Nothing ruins a good fishing trip faster than sudden bad weather! If you’re buckling under the stress and just want to take a long break and do some fishing, bring your friends and family to South Carolina. 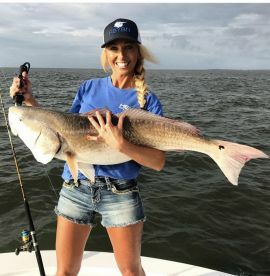 Whether lounging on a sandy beach or fighting Bull Redfish, this state can provide you with the vacation you deserve – come on down and get some serious relaxation started! For Bass fans January is a really good month – both Striped and Hybrid Bass can be found in good numbers throughout the state. Lake Hartwell is a productive spot to go for Striped Bass. Tidal Redfish are excellent targets. The clear waters mean sigh-fishing is still an excellent option for targeting inshore fish. If you’re a Catfish fan you’ll want to target the giant Blue Catfish that love this weather. Shad action is red-hot. The month Crappie anglers have been waiting for in South Carolina. The water is still clear in the shallows so sneaking up on large schools of Redfish is a very productive – you should try poling for extra stealth. 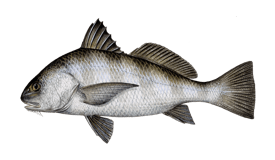 Spanish Mackerel and Cobia start moving into the waters of South Carolina in force during April. For freshwater fishermen Largemouth Bass action is all the rage during April. Cobia action will get serious during May, especially in the area around Beaufort. They like structures, so keep an eye on things like bridge supports, buoys, or clusters of seaweed. Redfish extravaganza! As the waters warm up the Redfish start hunting in earnest, the perfect time to go after some Bulls in the Lowcountry. Mahi Mahi start moving in the offshore waters, making for an interesting target. The Silver Kings take court in July, being especially good targets in the waters around Charleston. Their bite is the best during the morning or evening, so get an early night in for some Tarpon action! Offshore anglers can have a ton of fun going after Spanish Mackerel. They’ll be moving in schools so if you’ve found one, you’ve found many. You can find them just a few miles off the coast. Nearshore fishing is all about targeting Sharks during September. Further in the mainland, freshwater anglers can look forward to some refreshing Redeye Bass action on Chattooga River. There's more activity from Crappies, on Lake Wateree. The colder weather allows for inshore and backwater fishing to get intense during October. 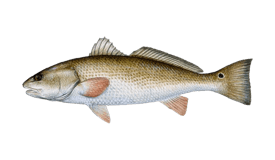 Redfish, Flounder, Spotted Seatrout are all great targets for sightfishing, as the water is much clearer than in warmer months. Bull Redfish are still champions of the catch list during this month. The marshes and tidal creeks make for good fishing grounds. 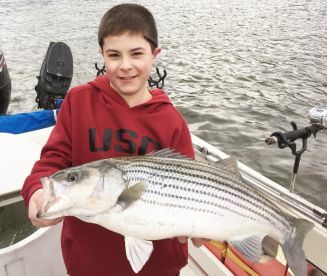 Fresh waters are all about schools of Striped Bass at Lake Moultrie, creating major excitement. 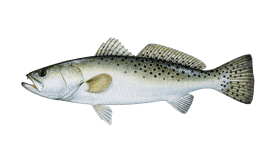 Spotted Seatrout fishing turns from the fall feeding frenzy into a precision procedure – the right choice of bait and bait presentation makes or breaks the attempt. The rewards are much better, as you can land limits of “Gator” Seatrout. "5 hour king mackerel trip"
Book a charter. They know where the fish are and how to catch them. Do your homework and make sure the captain is licensed and boat is safe. "Half day trip with Captain Ryan"
Communicate with your Captain prior to the trip tp ensure you have a great experience. "Half day trip with Captain Adam"
A lot of different areas to fish. Overall, everyone is very friendly. Make sure you know where the charter is located. The marsh walk is not clearly labeled. Boats are behind the restaurants.